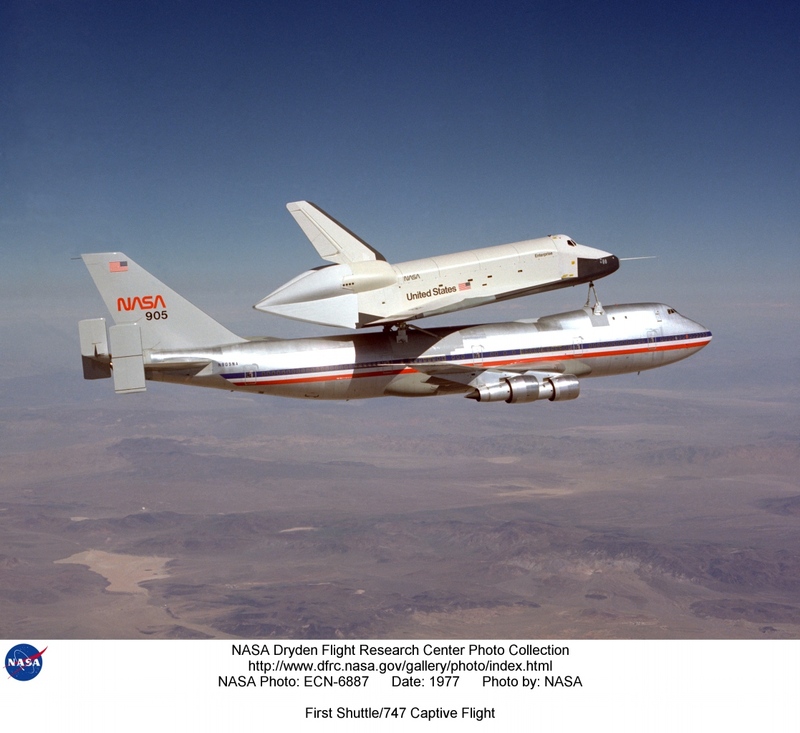 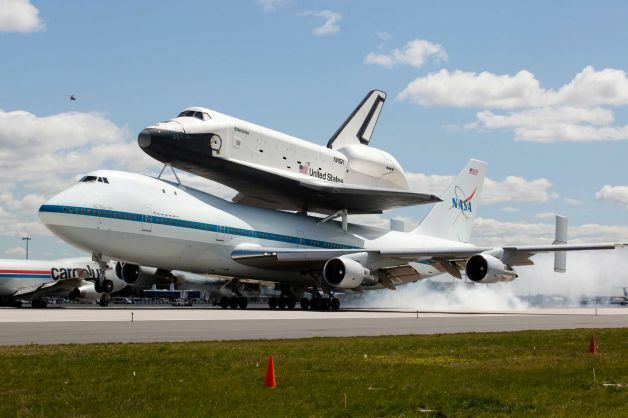 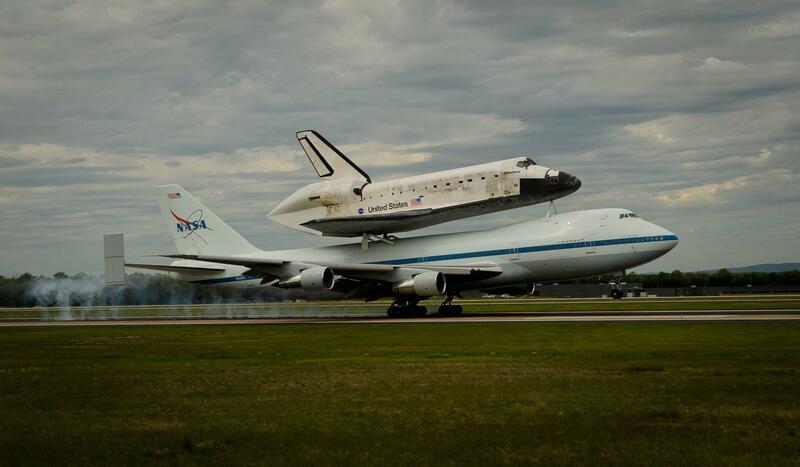 12 August 1977: At Edwards Air Force Base, California, the prototype Space Shuttle Oriter, Enterprise, (OV-101) was mated to the Boeing 747-100 Shuttle Carrier Aircraft, N905NA, call sign NASA 905, for the first of five approach and landing test flights. 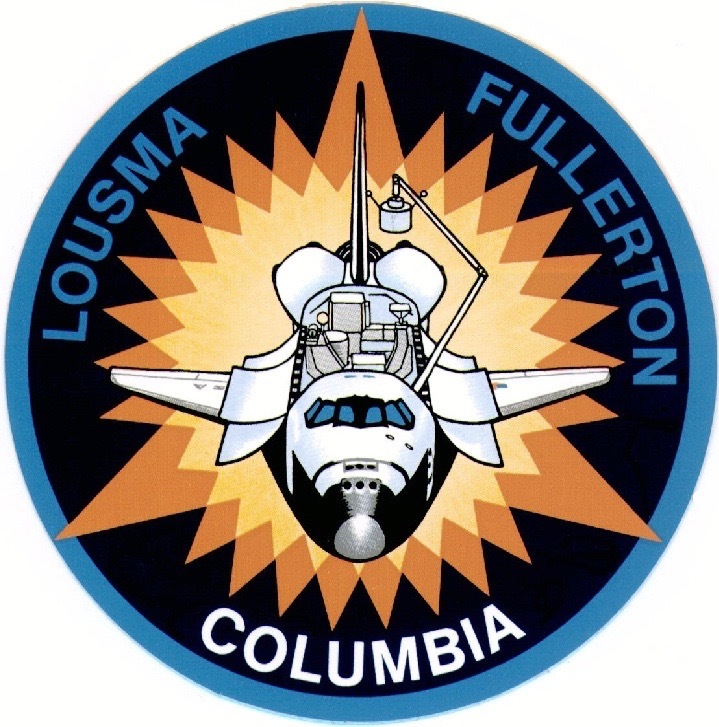 On Enterprise‘ flight deck were astronauts Fred Haise and Gordon Fullerton. 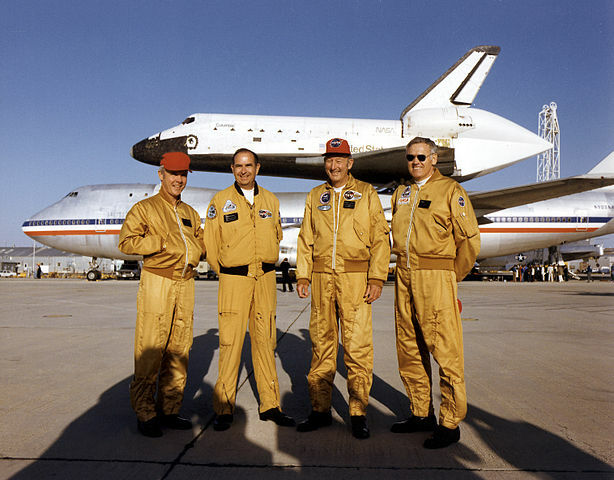 The crew of NASA 905 were NASA test pilots Fitz Fulton and Tom McMurty with Vic Horton and Skip Guidry as flight engineers. 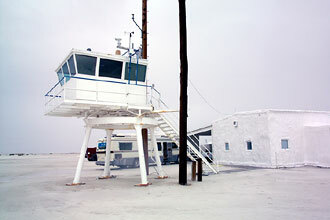 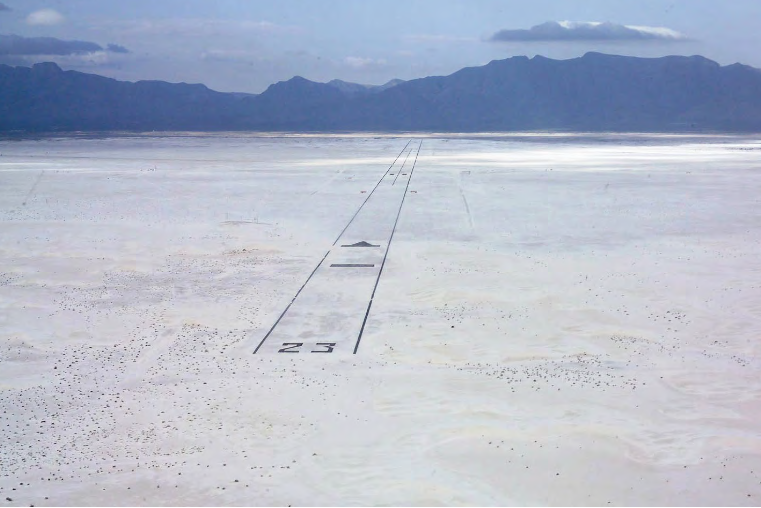 An estimated 65,000 people had come to Edwards to watch and at 8:00, Fitz Fulton began the take off roll down Runway 22. 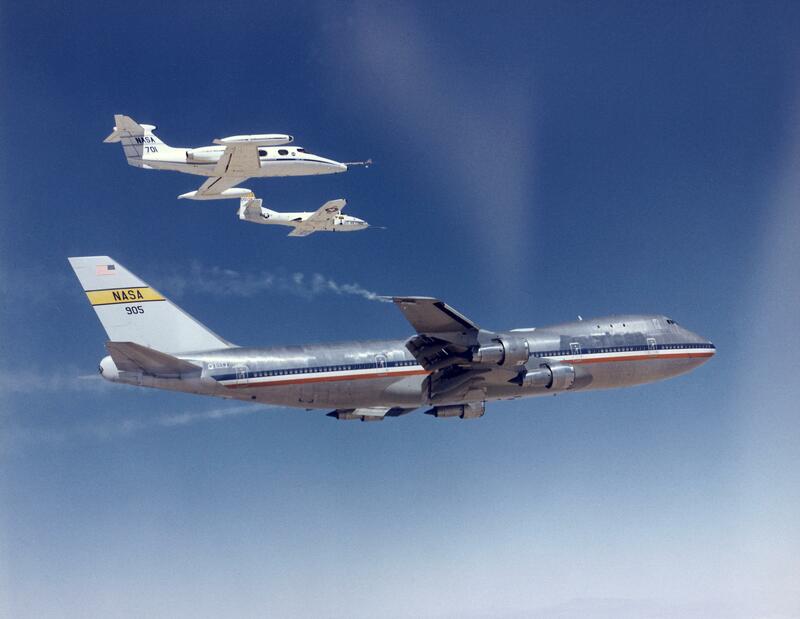 For the next 38 minutes the spacecraft/aircraft combination climbed together into the desert sky. 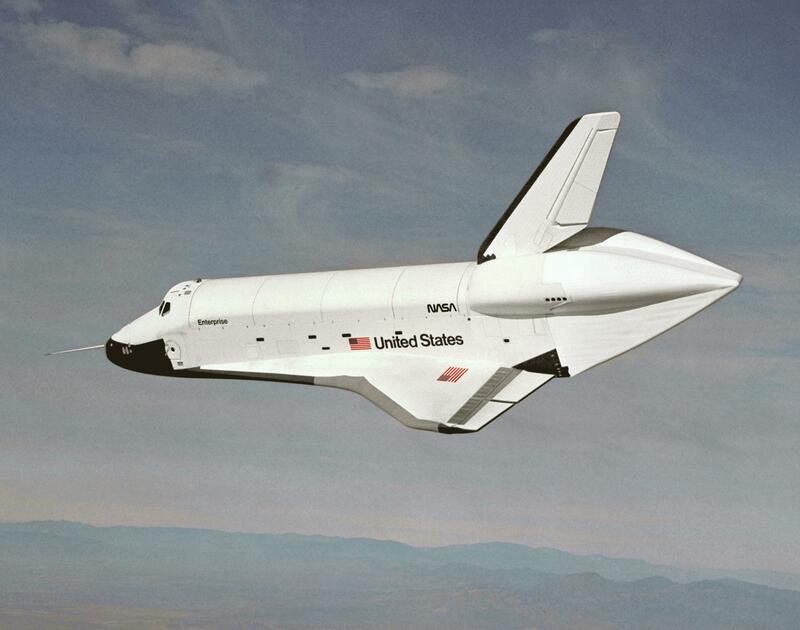 After reaching an altitude of 24,100 feet (7,346 meters), Fulton put the Shuttle Carrier Aircraft into a shallow dive. 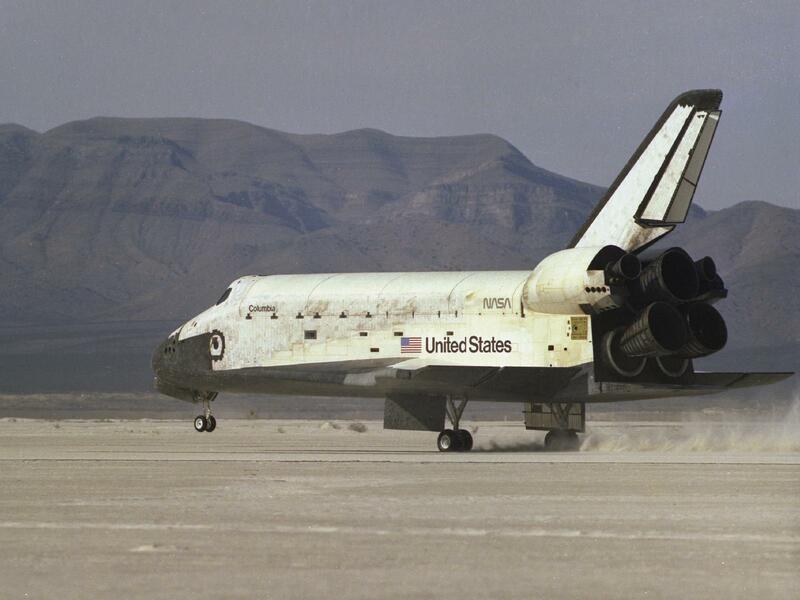 At 8:48 a.m., Fred Haise fired the seven explosive bolts holding the two craft together. 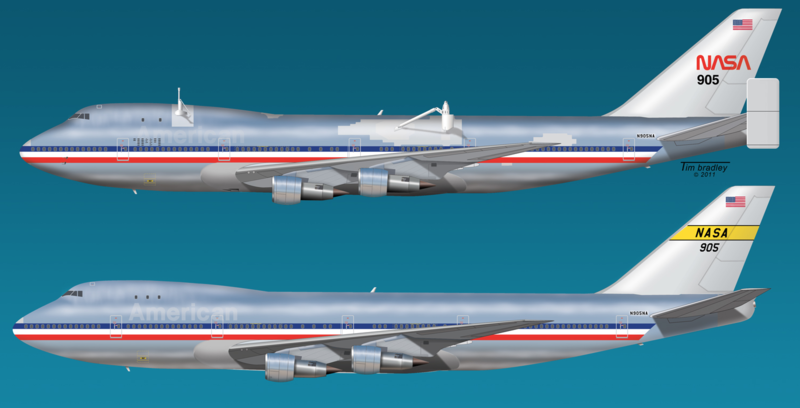 The 747 entered a descending left turn while Haise banked Enterprise away to the right. 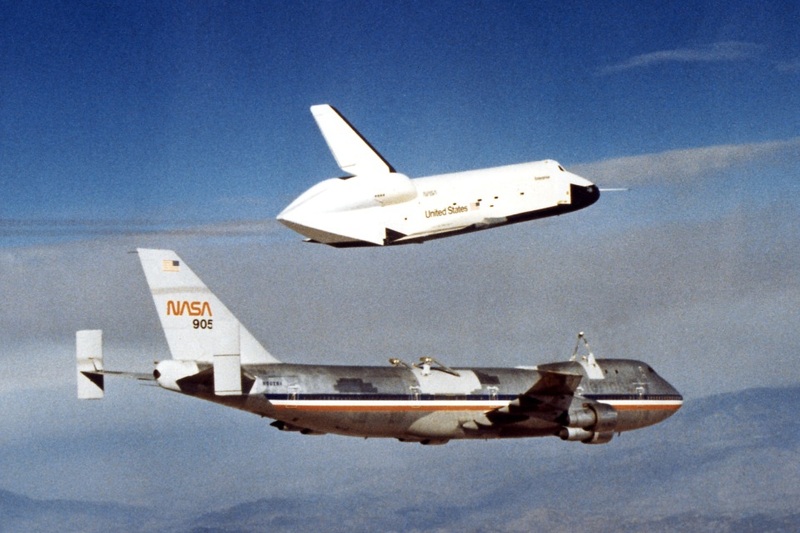 As Enterprise made its gliding descent, Haise and Fullerton experimented with the prototype’s flight characterisics and handling. 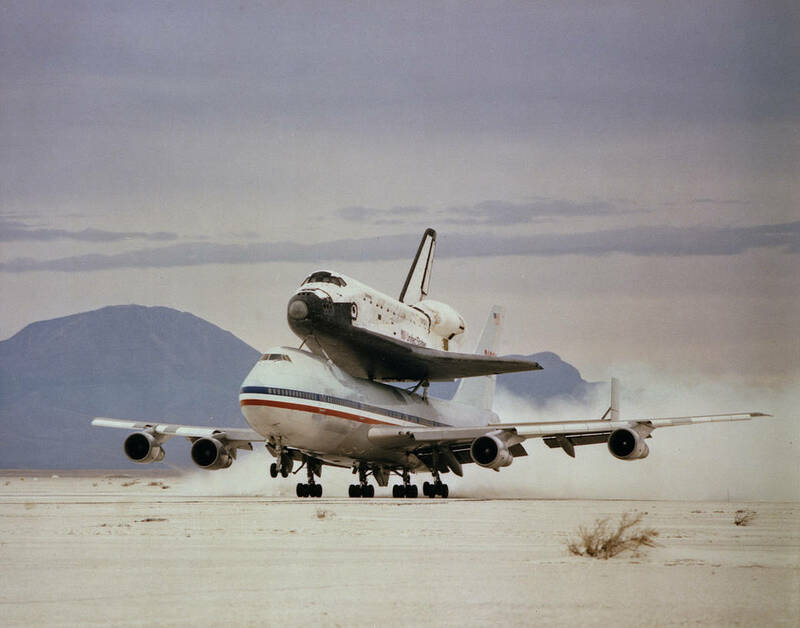 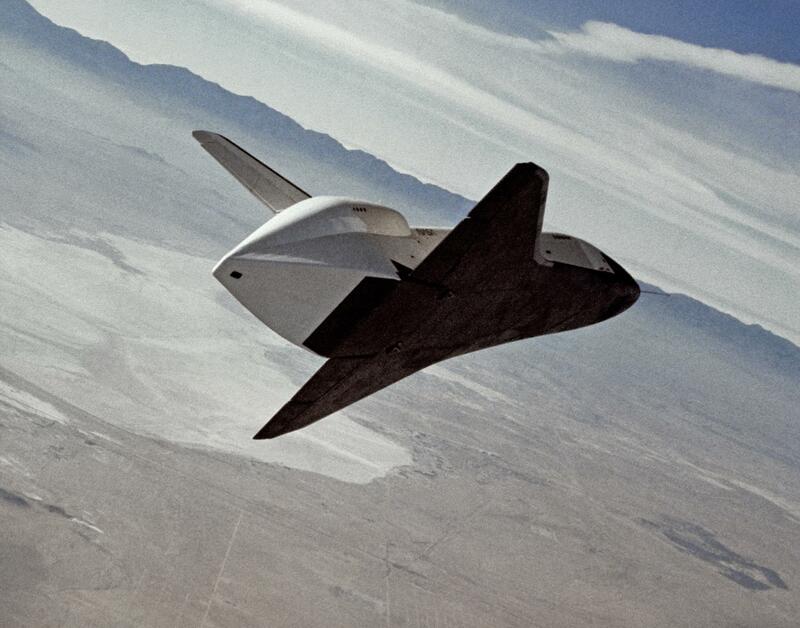 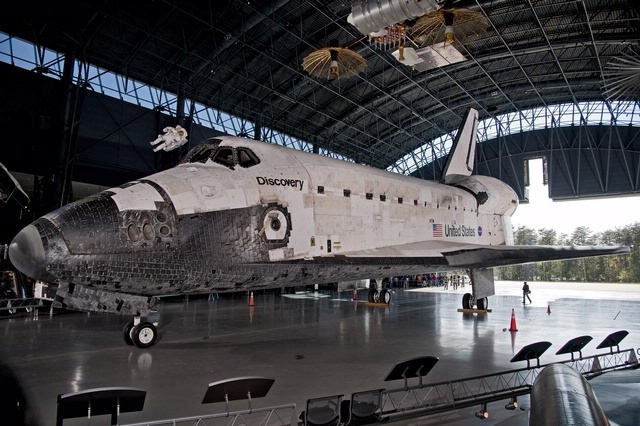 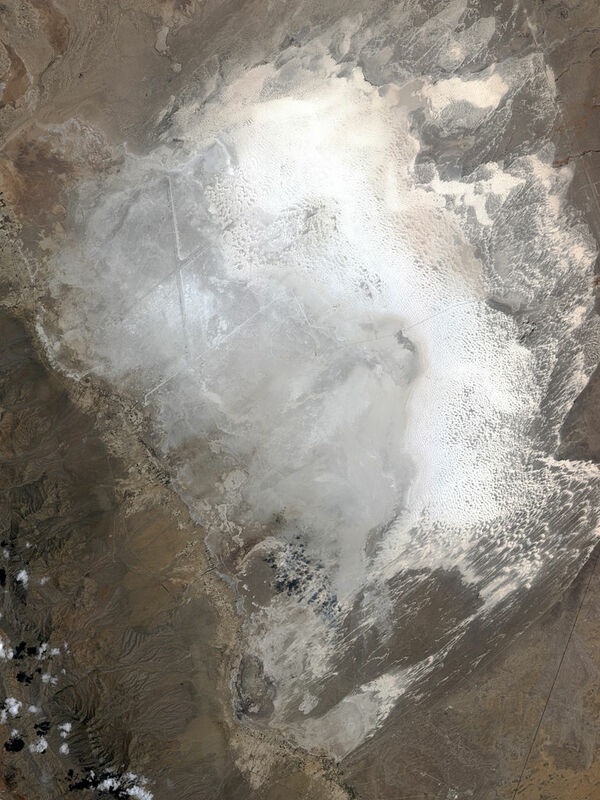 The Shuttle Orbiter touched down on Rogers Dry Lake at 185 miles per hour (297.7 kilometers per hour), and rolled for two miles (3.22 kilometers) before coming to a complete stop. 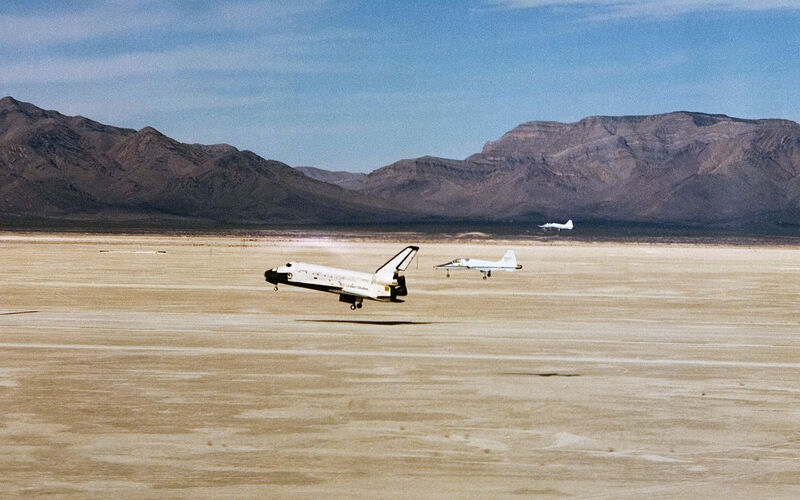 The first free flight of Enterprise lasted 5 minutes, 21 seconds.